Hello November!! 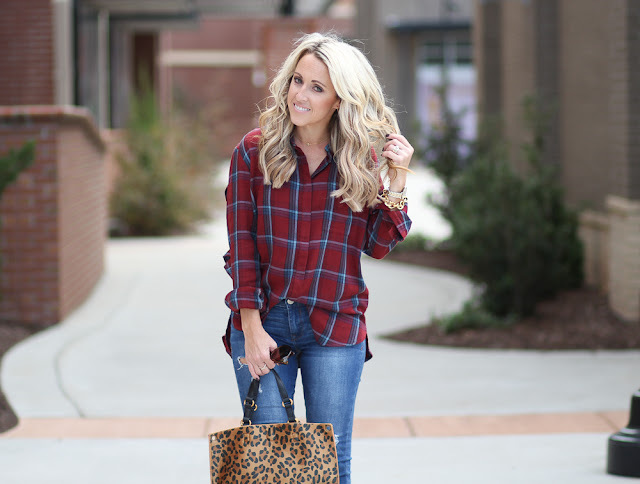 I love a great plaid top for the Fall and Winter. 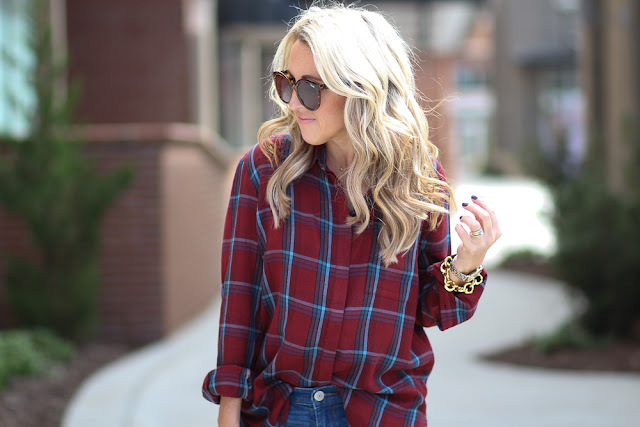 There is something so cozy and yet so fun about wearing plaid!! And it's even more fun when you add another print with it. 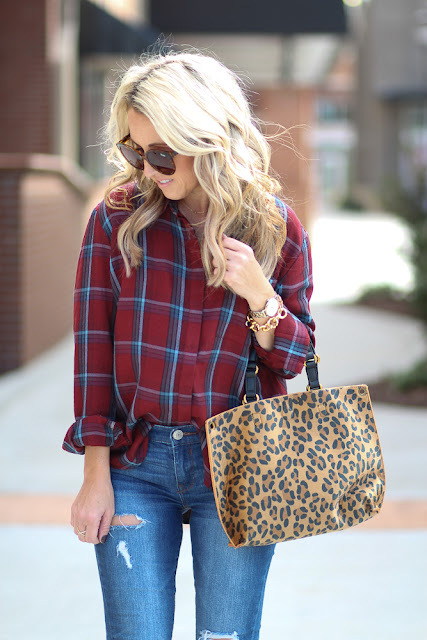 This plaid top is too cute! The colors are so pretty and it has a fun ruffle down the back. I decided to pair it with a leopard print tote for some fun print mixing!! This tote has handles to carry and a long strap to use as a cross body style. And it's under $50!! So now switching from my outfit to my hair!!! I've been wanting to do a blog post about my hair issues, products and daily routine for some time now. I love seeing/reading about other bloggers hair care, so I thought I'd share my finds and struggles. I have been growing my hair out for some time now (it's taking forever). I take a daily Biotin vitamin that is supposed to help your hair and nails stay healthy and grow. I'm not seeing dramatic changes, but still use it. And I have been getting highlights and making my hair blonder of the past 6 months. Because of all this mixed with the heat styling I use on my hair, I have found some great products to help protect my hair. I rounded them up below. I do try to go 2-3 days between washing to also help protect my hair. Confession...I am slightly jealous of the ladies who have long, thick natural hair. Mine is taking forever to grow long and will never be thick, so I decided to go the route of wearing extensions. Not all the time, but on those days when I wanted 'more' from my hair!! But, these extensions can totally be worn daily if that's what you prefer. They are so easy to use and blend perfectly with my natural hair. I was introduced to Hidden Crown Hair Extensions from a blogger friend. What makes these hair extensions so wonderful is that they don't damage your hair...no bonding, gluing or clipping. That is what I was looking for, something that didn't add anymore stress or damage to my hair. They fit on your head like a halo/headband and go in and out easily. In less than a minute, you can have natural looking thicker and longer hair. The extensions come in 5 different lengths and so many colors. Yes, hair extensions are pricy. These start around $200. But because these are not permanently attached to your natural hair, there is no upkeep fees. 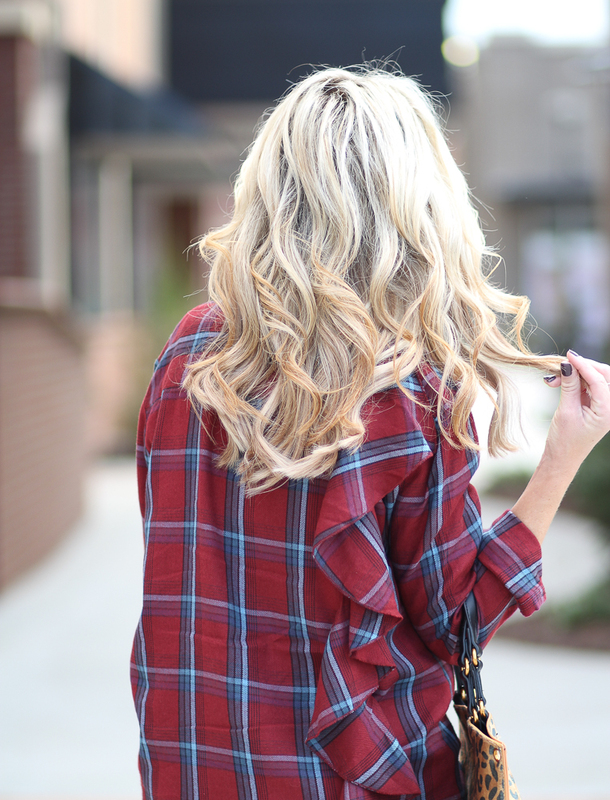 With a little TLC, your Hidden Crown extensions can last for a year or more, depending on how often you wear them, how much heat you use and how well you take care of them. Here is a link to see how the halo extensions work. 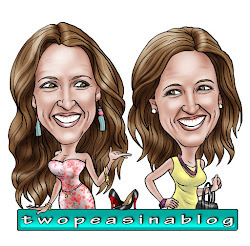 Videos on how to put the extensions in, how to pick the right color and FAQ's. 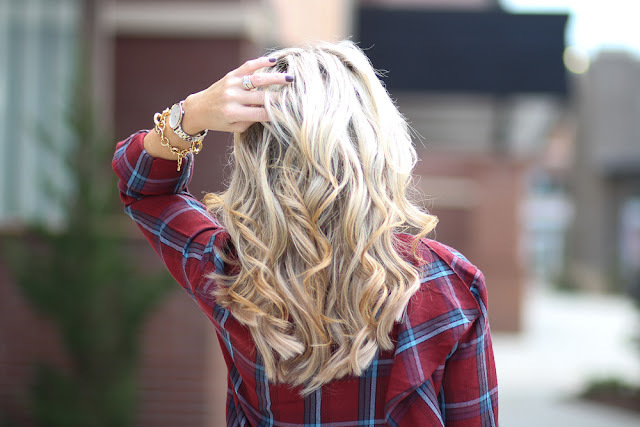 If you have even thought about trying a hair extension, check out Hidden Crown! I love that top! Such pretty colors! I really love reading this post. 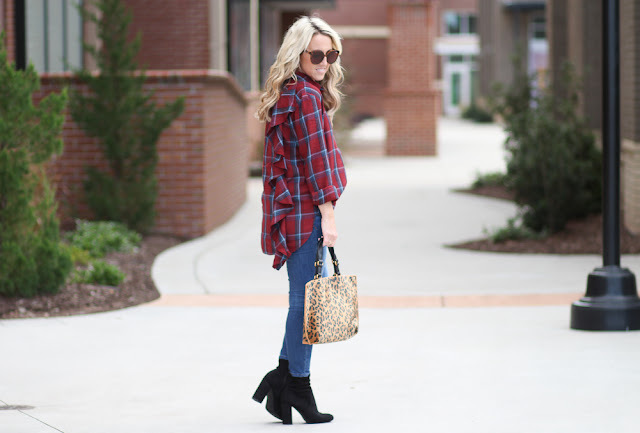 Your stylish outfits and your beautiful hair- all impressed me very much. 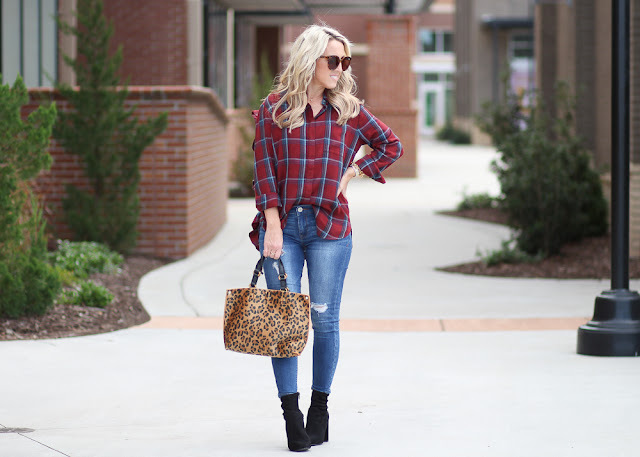 I hope you will write about virgin hair extensions because I am in love with these extensions and always love to use them with all my outfits and in any occasions.